Maybe I should have taken a quantitative turn at Albuquerque! I was honored and delighted to have a group of top historians discuss Fundamentalist U at the recent History of Education Society meeting in sunny Albuquerque. They raised some tough questions and we had a great discussion about the need for a better historical understanding of evangelical higher education. The panel was put together by Professor Andrea Turpin of Baylor University. She invited academic heavy-hitters AJ Angulo, Milton Gaither, and Katrina Sanders. The inestimable Jonathan Zimmerman served as our chair. Professors Sanders, Gaither, Angulo, and Turpin. Yours truly in the back. All of the panelists had nice things to say about the book, which was great to hear. But they also raised insightful questions. For example, why doesn’t the book include a clearer description of the numbers of institutions involved? It would have been fairly easy to do and it would have helped readers get a sense of the scope of the evangelical-college movement over time. Also, the book claims to examine the history of evangelical higher education, but it leaves out large swathes of evangelical schools. Where are the Pentecostals? The Peace-Church schools? It’s a fair point and one I readily acknowledge. 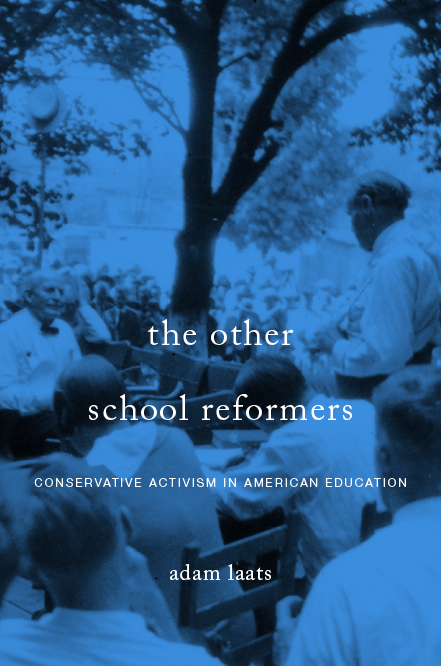 The focus of my book is on a subgroup of the evangelical tradition, schools that called themselves “fundamentalist” at some point in time. the narrow channel administrators had to navigate between the Scylla of angry fundamentalists watching their every move for signs of creeping secularization and the Charybdis of parents, students, and accreditation bodies who wanted to make sure that the education being provided was respectable. Last but not least, we discussed the challenges of my sources. In some cases, I was only given access to small parts of archival collections. I wasn’t allowed at all into some archives, like at Bryan College. How did this curated set of papers influence my ability to draw fair conclusions? First of all, for historians and others interested in American higher ed, we absolutely must include this family of institutions in our considerations. Too often, we hear pundits and policy-makers talk about the ideological draft of “American higher ed” in ways that seem willfully blind to the true diversity of the higher-ed landscape. Second, though this wasn’t the focus of these educational historians, we will never understand religious bodies and religious identities if we don’t do a better job of studying affiliated educational institutions. As I argued in Fundamentalist U, too often observers and historians have assumed that we should understand fundamentalism and conservative evangelicalism on theological grounds. That’s useful, but it’s not enough. If we really hope to get a handle on what it has meant to be an evangelical, we need to see what evangelicals have done with their schools. And we need to ask why.